By enabling dangerous leaks to be monitored from several meters away, the GF300/320 cameras can significantly improve work safety, environmental and regulatory compliance, and help to decrease costs. The included High Sensitivity Mode pinpoints the exact source of the emissions and begins repairs immediately. The GF320 is also capable of measuring temperatures up to 350°C with ± 1°C. 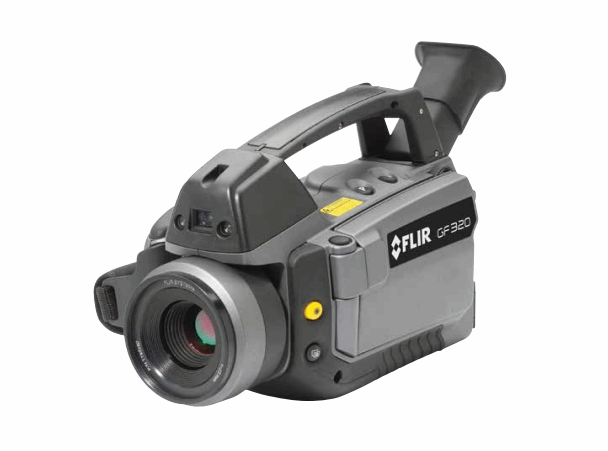 These cameras comply with all current regulations for Optical Gas Imaging (OGI). For more information on the FLIR GF300/GF320 infrared cameras, download the available datasheet.